We are delighted that you are considering Centenary College as a location for your photography session. Please review the guidelines and permit information prior to visiting campus for your portraits, and submit the Campus Photography Form found at the bottom of this page. Centenary College requires a permit to perform any portrait photography or video services on the campus grounds. Submit your permit request a minimum of 72 hours in advance of your photography session date. Portrait sessions may be booked online via the form below. We encourage you and/or your photographer to visit the campus in advance to plan the locations for your photo session. Non-Commercial Shoot ($25) – Any amateur photography for family, friends, or individual practice. Commercial Shoot ($50) – Professional photography for graduation, wedding, engagement, or other portrait photos. Commercial Photography Annual Pass ($300) – Available for professional photographers; allows unlimited bookings for 1 calendar year. Individual booking dates must still be scheduled with the Conference & Events Coordinator at 318.869.5778. These permissions are for portrait photography only, and not for photos of the buildings or grounds for commercial use. For commercial photo inquiries, please contact the Director of Strategic Communication at 318.869.5715. Access to the interior of buildings is not permitted. Please be courteous and do not block pathways or other access in any way that would impede campus students, faculty, or staff from full access to campus grounds. Please do not enter the flowerbeds, plant displays, or mulched areas. Remain on established pathways or grassy turf at all times. 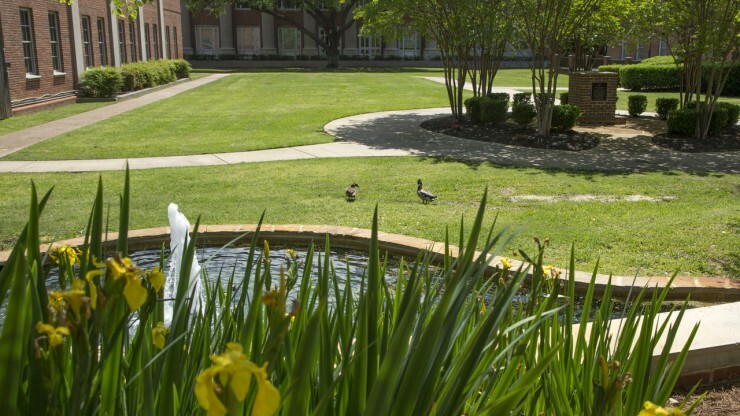 Note: Centenary College property is private property, not public property. All visitors entering Centenary property for any reason do so at their own risk. Centenary cannot be held liable for any damage, loss, injury, etc. incurred by any visitor. In scheduling this photography shoot, you are acknowledging that you and all parties to the shoot accept any and all liability.